"O Govinda! Feeling Your separation, I am considering a moment to be like twelve years or more. Tears are flowing from my eyes like torrents of rain, and I am feeling all vacant in the world in Your absence. 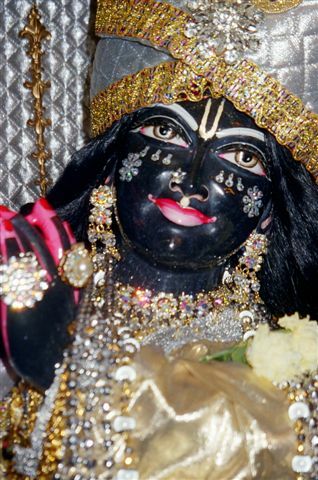 "It is the aspiration of a devotee that while he chants the Hare Krsna maha-mantra his eyes will fill with tears, his voice falter and his heart throb. These are good signs in chanting the holy name of the Lord. In ecstasy, one should feel the entire world to be vacant without the presence of Govinda. This is a sign of separation from Govinda. In material life we are all separated from Govinda and are absorbed in material sense gratification. Therefore, when one comes to his senses on the spiritual platform he becomes so eager to meet Govinda that without Govinda the entire world becomes a vacant place."